How did weeding your collection go? I always find it easier to remove books that are falling apart, it is the other books which make it hard. In June I will be weeding a collection along with other librarians. When we join forces or help each other it's fun plus we can grumble together. If you had a hard time letting go of some books... I understand. We all understand the feelings and connections books seem to create within our campus collection. What I am asking you to do now is look to the future. Here are questions to consider. • In five to ten years how many print books will your collection need? • How many bookcases does your collection need now? • How many bookcases will your collection need in the future? We are living in the 21st Century. It is vital for school librarians to plan, act, think and prepare for this century. One component of this plan is your physical environment and this blog will focus on bookcases. Here are some of the components to think about regarding the purpose a bookcase plays in your physical environment. 5. Etcetera-There can be additional areas added depending upon your program and physical space. In Spring Branch ISD, we use our short bookcases to divide our Learning Commons into areas for multiple class use, small group work, individual work and reading areas. The taller bookcases line the walls. As students or staff enter our Learning Commons we use the short bookcases for display cases to "Sell New Arrivals" in print and eBook . This bookcase does more, which I will explain further in my program blog. You are not just removing bookcases. You are also restructuring remaining bookcases. Would a picture or two help you visualize where you need to go? 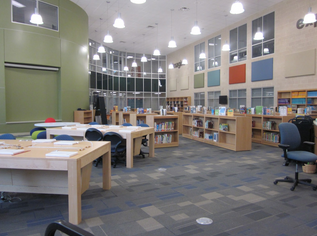 Okay here are pictures of Learning Commons in Spring Branch ISD in Houston. Please look at all the pictures of elementary and secondary schools because you will gain insight. 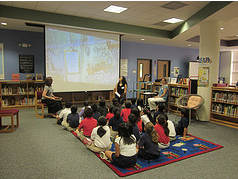 When Spring Branch librarians were thinking of reworking their traditional library into a Learning Commons, they visited all Learning Commons regardless of grade level. Focus on where the bookcases are located. All of the pictures came from the librarians websites on Destiny, our library management system. So my friends.... What is the secret to transforming "traditional" school libraries into Learning Commons??? One big secret is moving your bookcases. Another secret is risk taking and be willing to fail. Remember ... you will never know unless you try! If you fail... What did you learn from the failure? It is true my friends I make mistakes, learn from it then redo it with a twist. Take a look at the commong pictures again. Do you see bookcases on the edges, forming squares and creating half walls? Do you see old bookcases? Do you see new and remodeled bookcases? The answer is YES to both questions. Anything can be done and it works. The Learning Commons is NOT about new furniture. I hope you enjoyed this blog post! One of my goals is to make you think and question. I do this to myself all the time. What you are doing? Why are you doing it the same way in the 21st Century? Thank you for reading my blog!! I really appreciate our time together. Feel free to ask me questions by commenting below. Keep in touch and until we talk again... have fun with your Learning Commons puzzle!! JoAnn obtained her M.Ed then MLIS both in Colorado. For twelve years she taught at Poudre School District in northern Colorado before working at Cherry Creek School District. Because Denver hosted the ISTE conference, JoAnn's life took a dramatic change. While looking through the ISTE website, she discovered a job opening for Director of Innovative Resource Media Systems. 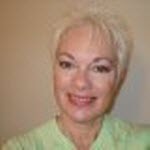 Being the wild Irish woman that she is, JoAnn applied for the job and six months later moved to Houston, Texas. Because her loving family supports her, JoAnn can honestly tell you this she has a wonderful job and she is a lucky woman. JoAnn's three children live in three states, so frequent flyer miles are her best friend. She has two grandchildren and two grand-dogs who she spoils every time she visits. Every other Friday during the school year since August 2002, I get up and head to breakfast at a local restaurant. I started going to breakfast because I was asked. There was a group of teachers from my building (and a few retired teachers) that met every other week for breakfast just to chat before school started. It was one of the best decisions I made to attend. I learned so much about the history and culture of the school. Not only was I getting the current realities, but I also got historical context, stories, and the background on why my school is the way it is. The lessons I’ve learned over the last 11 years have been invaluable because I have built relationships with the teachers. It was my foot in the door. It had nothing to do with libraries. It had everything to do with learning about the people I was working with. Going to breakfast wasn’t the only way that I started to know the staff I was now working with, but it certainly was a successful method. Other avenues included playing cards on Saturday nights, or meeting up for a beverage after school on Fridays. All of these opportunities to build friendships and trust were opportunities to open the door to collaboration. When I started going to breakfast back in 2002, the group was made up of teachers, most of who were still working, and a few former/retired teachers from school. As the years have gone by, more of the teachers I knew have moved to the former/retired teacher side. Unfortunately, we’ve had to say a final goodbye to a few of our friends when they passed away. But, every August we’d start our breakfast meetings back up again and continue our conversations. This year will be a little different. The last of the group (besides me) is retiring. When we start back in August, I’ll be the only one in the group still employed. I have no doubt we’ll continue to have breakfast, as these are my friends. But, it also a sign that we’ve started to see a turnover with our staff. Now we have added a lot of new folks in recent years. So goes the process of building connections to those teachers. As I think about plans for next year, one thing I need to do is continue to work on building more relationships with teachers. So one of my “to do” items is to ponder ways to do that. Do you have any ideas on how to build relationships with teachers? Please share them in the comments below. 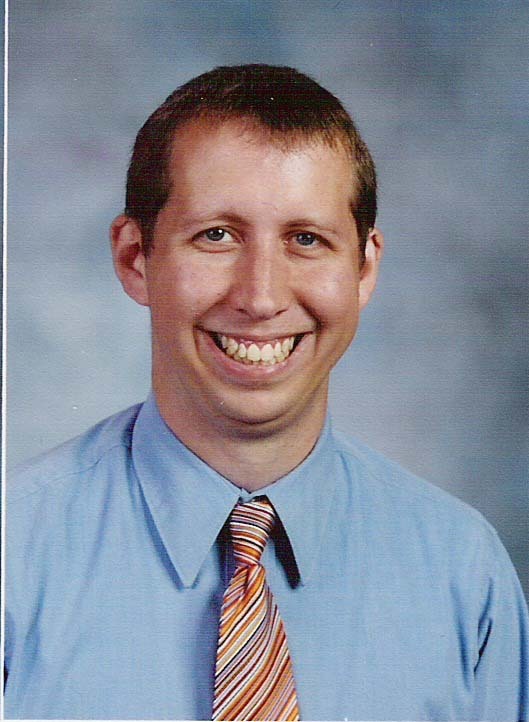 Carl is the librarian at North Elementary School in Noblesville, Indiana. He can be reached at carl@carl-harvey.com or @caharvey2 on Twitter. He is a Past-President of AASL, and an author of professional books for school librarians. He blogs at Library Ties. → 11 CommentsTags: Where in the World of Library is Carl? The last two years I have spent updating the library in an effort to make it functional for accessing information and utilizing 21st century tools. One of the biggest transformations our library has made is the transition to utilizing ebooks. In 2011 our district library media coordinator, and I were awarded a CenturyLink grant which allowed us to launch "Ready, Set, (W)eRead". We, along with two other librarians from our district, collaborated to build an ebook collection and planned for the implementation of ereaders in our libraries. At the heart of the project is the desire to promote reading and literacy efforts, cultivate a love of and excitement for reading, and increase the number of books that are read by students. The purpose of the grant was to redefine how our students perceive and read books. In essence, it is about redefining library for the 21st Century. Our school library had a limited number of books; many of them were out-dated. Students with mobile devices who live within the city limits have access to thousands of ebooks through the Springfield Public Library to supplement what was missing in their school library. The goal of this project was to provide students in rural areas (like the school in which I teach) with access to an online ebook collection. By providing this access, students would have the opportunity to read more and have access to a wider variety of books. To begin we needed a device that would allow students to download an ebook and read it offline. Though the grant was awarded in December of 2011, it took four months to research a tool that was user friendly, easy to manage, and that would accommodate ebooks that could be accessed by a wide range of devices. Once we ruled out some of the more popular ereaders (Kindle and Nook) due to management issues and lack of versatility, we ended up settling on the iPad. We made up our minds after the updated version of our online library automation software, Follett's Destiny, was released in late January of 2012. The update made accessing ebooks easy, especially when followed by the release of the Destiny Quest app and the Follett Reader for both the iPad and Android devices soon after. And now, with subsequent updates, accessing our library's ebooks has never been easier. A combination of grant and library funds were used to purchase approximately 350 ebooks and ten iPads for each of the three participating schools. In an effort to seek out students who might benefit most from this highly motivational reading tool, librarians collaborated with teachers to assign two students each to an iPad. We sought out students who were reluctant readers for one reason or another hoping that interacting with text in a different way might enhance their reading experience. The iPads alternate between student partners every two weeks to allow enough time to finish an ebook. Students take the iPad to and from school daily, and return it to the library each Tuesday for an overnight charge. Instead of a paper reading log to show their progress, students log their nightly reading using the camera app. They create one minute video summaries that show their understanding of what they read. Over the past year I have had the privilege of seeing incredible gains in students. We have learned that ebooks are not for every student, but have proven to be a highly motivational tool for specific students. Ebooks have taken the intimidation out of a big book, with small font, they have provided children with the opportunity to take risks in reading, and to discover who they are as readers. In fact, many of the students who have used iPads in our library, end up not needing them any more, as their family ended up buying one once they saw how it increased their child’s motivation to read and gave them confidence. 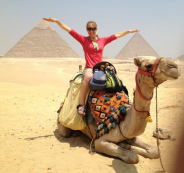 Amy Page is a K-5 library media specialist with a passion for reading, learning, technology, travel, and adventure. You can connect with her by leaving a comment below. Check out her library blog. This blog post is dedicated to Weeding Your Collection. You will find this short, simple and to the point. Do not ponder weeding... Just Do It! Yes just remove print that is old, chewed up, not circulating, out dated and smells like mold. If you do this ... your collection will be a healthy and happy one. Some librarians think I cannot do this because I will not have funds to buy books. Consider this talking point, one print book will cost $15.00 while one ebook of unlimited access costs $45.00. With print I circulate one book to one student, yet with unlimited ebook access my entire campus can read the book at the same time. Which is easier to justify to your principal a one-to-one model or a one-to many model (unlimited access)? The American Association of School Libraries (AASL) gives us guidelines for weeding. "Students need to be informed, and the materials that students check out of your library and bring home communicate directly to parents the quality of library service. Discarding old and outdated materials demonstrates a need for newer more useful materials that support a school's curriculum." The AASL web links on weeding are below. Purging your collection of unneeded items is often difficult and sometimes controversial. 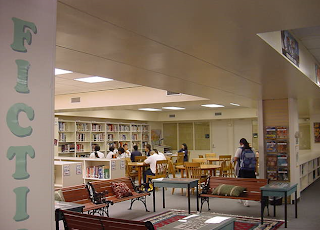 Here you will find information on how to approach this library maintenance job. Visit this webpage to find tips on weeding your collection, as well as ideas on how to dispose of extra materials. Remember: Just Do It... or ... hiking is placing one foot in front of the other foot and you just keep doing it! If you prefer reading a book on this subject here is a recommendation. Baumbach, Donna J. and Linda L. Miller. Less is More: A Practical Guide to Weeding School Library Collections. Chicago: American Library Association, 2006. ISBN 0-8389-0919-1. In order for your Learning Commons to move forward, it is important for you to weed. This is no small task, yet once begun the end results are shelves with newer looking books or empty shelves. With fewer print, begin thinking of shelving, which that is our next blog! I hope you enjoyed this short yet most important blog! American Association of School Librarians: Making Correlations Part 1. ALA, n.d. Web. 13 May 2013. Baumbach, Donna J., and Linda L. Miller. Less Is More: A Practical Guide to Weeding School Library Collections: Chicago: ALA, 2006. Print. Over the past year and a half we have been upgrading and maximizing our use of Destiny. For example, as a part of the updates to our library automation system and the tools that we make accessible for students, we started to look around at what we had that was being underutilized. One of the biggest resources are the online subscription database services from Gale that are provided by the Oregon School Library Information System (OSLIS) to all districts in Oregon. Typically, these databases are used in the library; classroom teachers don’t know what they are, nor do they teach students the specific search skills needed to efficiently access information. There are two ways that we have tried to make these databases more accessible. First, we have embedded several of the Gale Widgets on the front page of all of our libraries. By embedding the widgets, students can search the databases directly, and easily, from their library’s home page. At the elementary level, we have KidsInfoBits embedded; middle school students have access to Junior Reference Collection, Student Resources in Context, and Opposing Viewpoints in Context. At the high school, the Gale PowerSearch is displayed. In addition, students can also include search results from these databases when they do a power search in Destiny. At each level, media library specialists selected the databases that they felt were most appropriate and the databases were configured in the Destiny Catalog under Search Setup/Enriched Content Searches so that students could search them directly. Some of you may wonder why we selected both options. For strong readers, the Destiny’s power search works well. However, for struggling readers, the presentation of the database resources is simply too difficult to access. Finally, in our district, teachers are invited to attend technology integration field trips. I’d like to invite you to take a quick look at the short video and associated resources from Field Trip #6: Critical Issues in which a classroom teacher and the school librarian team up on language arts TAG students. The unit uses library databases (Opposing Viewpoints, Learn 360, Citation Maker) and Google Docs. In this second blog post, I hope to make you think and question what you do. Together we will begin the foundation for you to build your campus Learning Commons. What do you think of the words I chose in the title? Ideology - Philosophy - Manifesto? Think of these words and decide which one gives YOU more passion. Today or tomorrow I want you to stand quietly in your library and look at it. Be critical of what you see! How is your entire room used? Are students and teachers in the library every day or every period? Are all of your resources being used daily? Which print or electronic resources are students using? How many choices are you giving your students? Are you teaching students the 21st Century skills needed for success? For years I asked myself did my program meet the needs of all students, so my program supported the gifted student , the failing student, the fine art student, etc. These programs worked for several years on my campus. The culture was changing rapidly in education; however, we were not preparing for it. Why not? The 21st century skilled librarian is more important to students now than ever before. Information retrieval on the Internet is getting harder and harder especially if you seek valid information. Our students are overwhelmed with information, and so are our teachers. I have mentioned two changes one regarding education as a whole and one regarding accessing information. Education needs to change. These TED videos by Sir Ken Robinson are thought provoking. Answer these two questions. What is your ideology of education? What can you do to instigate educational reform? What did you think of the videos? Which one impacted you the most? Let me know your thoughts. When I saw Ken Robinson speak he struck a nerve and ignited my passion for education. Robinson showed me the pieces of the puzzle in Changing Education Paradigms. That is when I knew I needed to change my library paradigm and began my quest. Thisquest lead me to the Learning Commons. I hope you feel EMPOWERED now this very second to begin transforming education in your library into a Learning Commons. "...a common, or shared, learning 'space' that is both physical and virtual. It is designed to move students beyond mere research, practice, and group work to a greater level of engagement through exploration, experimentation, and collaboration. 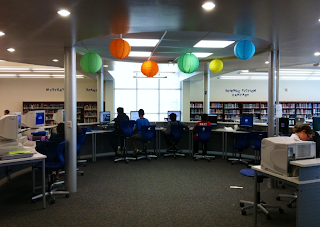 A Learning Commons is more than a room or a website. 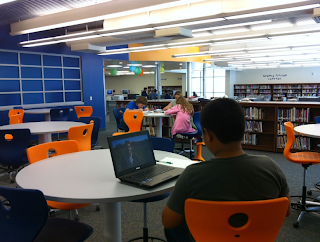 A Learning Commons allows users to create their own environments to improve learning. A Learning Commons is about changing school culture, and about transforming the way learning and teaching occur. " Reflect back on what Ken Robinson said and what you just read. Are you seeing a different picture? Can you start putting the pieces of the Learning Commons puzzle together? Let's begin! When you move from the traditional school library to the Learning Commons you will remove top down control and instigate behavioral expectations and choice. Giving up control of your environment could be one of the hardest pieces of the Learning Commons for you. I am not saying the environment is loud and uncontrolled. I am saying you establish behavioral expectations of students and teachers for environmental control of the Learning Commons. Next let's start taking a good look at your space and make assessments. I will go into more detail one these assessments in later blog posts. I want to show you the pieces of the puzzle now. Lay the pieces of your puzzle on the table and then we will build it together. In Alan November's book Who Owns the Learning he talks about allowing the student to drive the learning. In the Learning Commons you are doing the same thing, allowing students to drive the learning by providing them access to technology and connecting them to the world of information thus allowing for creativity. In this book I read about James Tracy, headmaster of Cushing Academy in Massachusetts, who wanted to find a better way to use the library space. He found a model that made sense for the school's new library in a open, collaborative space at the Google offices in Mountain View, California. Cushing Academy took out bookshelves and re-purposed the area into a collaborative, common study and interactivity space. He also provided areas where students could work in groups of two or more. James call these areas "micro-climates of interactivity." Take a look at the Fisher-Watkins Library at Cushing Academy. One thing that James Tracy did, which surprised me, was he moved the faculty mailroom into the library so every teacher would have to go there every day. My friends I have shared a lot of information with you. Are you excited about your future? Are you ready to lead the charge? I hope this blog has made you think of your Ideology - Philosophy - Manifesto for your Learning Commons. Keep in touch and until we talk again... have fun with your puzzle. Loertscher, David V. Virtual Learning Commons: Building a Participatory School Learning Community. N.p. : Learning Commons Press, 2012. Print. November, Alan C. Who Owns the Learning? : Preparing Students for Success in the Digital Age. Bloomington: Solution Tree, 2012. Print. Robinson, Ken, prod. "Ken Robinson: Changing education paradigms." YOUTUBE. 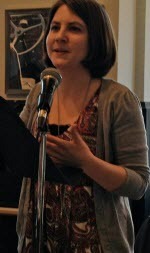 N.p., 2010. Web. 1 May 2013. - - -, prod. "Sir Ken Robinson: Bring on the learning revolution!" YOUTUBE. N.p., 2010. Web. 1 May 2013. Standards for the 21st-century Learner in Action. Chicago: American Association of School Librarians, 2009. Print.